MONDAY MARCH 4, 2019-all day. Leave the kids at home and join Self Help CFCE for a special event with the Life Is Good Kids Foundation at the Randolph Intergenerational Community Center on April 4th, 2019 from 6:00pm-8:00pm. You will learn about the “Power of Optimism” and how you can transform your life and overcome challenges through JOY, PLAY and OPTIMISM! We have been lucky enough to have secured an inspirational speaker from the Life Is Good Kids Foundation. Steve Gross is the Founder and Chief Playmaker of the LIFE IS GOOD PLAYMAKERS-The Signature Program of the Kids Foundation. Steve is a clinical social worker and a pioneer in the field of using playful engagement and relationships to overcome the devastating impact of early childhood trauma. Steve’s talents have been called upon to respond to some of the greatest catastrophes of our time. At the heart of his work, Steve helps others discover the power of optimism so that they can build resilience and bring greater joy, connection, courage and creativity to their lives. Steve will speak to caregivers and families about the stresses, trauma and struggles that life can bring, and how JOY, PLAY and OPTIMISM can transform you, your children and your whole family! It will include some hands-on strategies to use with your children, a light dinner, community resources and some great raffles! Space is limited, so please register today!! If you are interested in sponsoring the event, providing a raffle or having a program information table…..please visit: http://selfhelpcpc.org/lig/ for more information!! In our current world of uncertainty and devastating news stores everyday…..Please take some time out to actively practice KINDNESS! Even the littlest acts can have positive rippling effects and did you know that kindness positively impacts even those who witness kindness!! 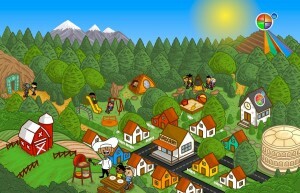 Please visit Random Acts of Kindness website for inspiration, curriculum, monthly Kindness calendars, posters and more! 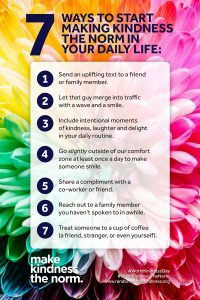 Check out the Science of Kindness in the great video below from the Random Acts of Kindness Foundation! 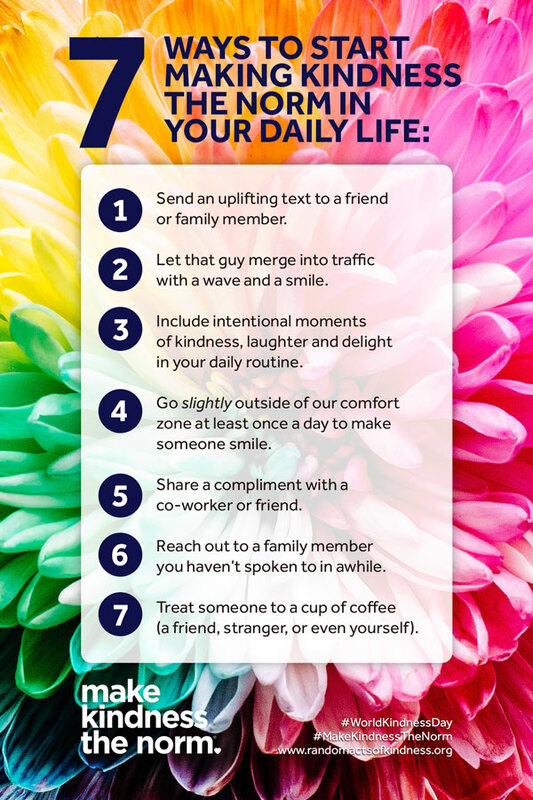 KINDNESS is something we can all do, and by making a little extra effort to do it everyday….World Kindness Day Can Be Everyday!!! 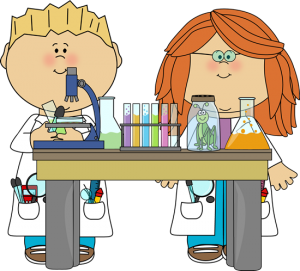 Celebrate STEM week with CFCE! Check out our calendar to see what fun and FREE STEAM programs are going on this week!! 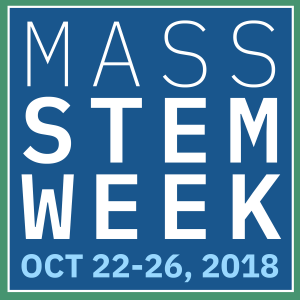 Please also check out the MA STEM Week website for professional development and activities for all ages!!! 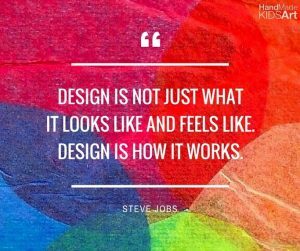 What is STEM or STEAM? 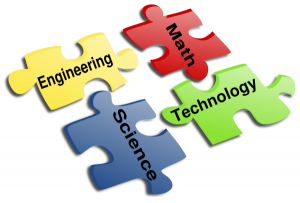 This stands for Science, Technology, Engineering, ART and Mathematics. 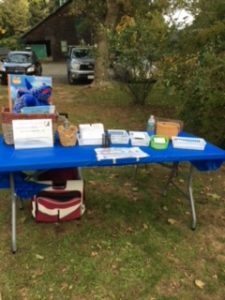 Thanks to the Rodman Early Childhood Program for inviting Self Help Inc. CFCE to their PRESCHOOLERS IN THE PARK EVENT, on Saturday October 20th. There were over 60 parents and children who attended, and CFCE was able to let them know more about the great FREE programs CFCE has to offer!!!! 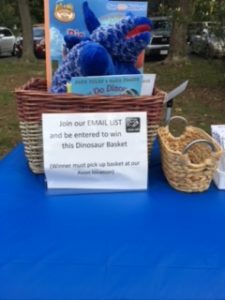 The winner of the CFCE Dinosaur Book Basket is……….Marino B. of Canton. Please get in touch with Michele Davidson (mdavidson@selfhelpinc.org) at Self Help Inc CFCE for details on getting your prize!! Join us on April 28th for a great morning of BRAIN BUILDING!! 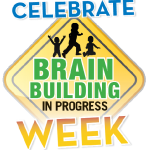 FREE BRAIN BUILDING IN PROGRESS EVENT!! 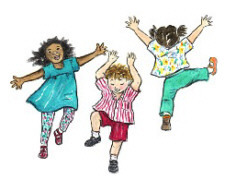 We will sing together, read together and dance together!! Programs and Information on Community Resources will also be available!! You MUST PRE-REGISTER for this event!!! MAKE SURE TO COME ON TIME…..FIRST 25 FAMILIES through the door, receive a Brain Building in Progress Bag, packed with resources, information and activities! Learn about and receive information on the importance of supporting your HOME LANGUAGE! 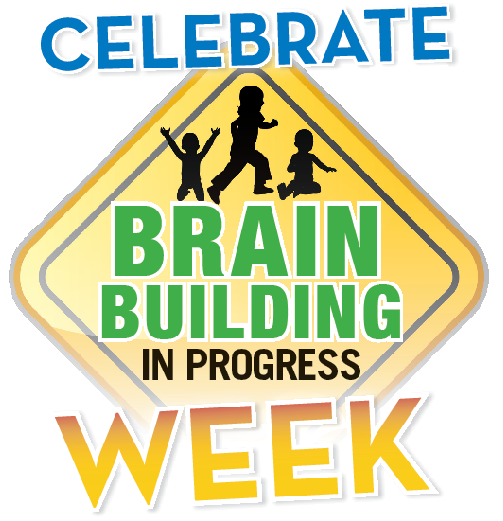 Kids and parents can participate in fun BRAIN BUILDING activities, and receive lots of information and resources! **although this event is for all children and families, activities are geared toward children ages 2-6yrs. Is Your child eligible to Start Kindergarten in the Fall of 2018? Check out our GREAT Resources to help you and you child get READY!! The transition between preschool and kindergarten is a major step in a young child’s life. It can also be an anxious time for many preschoolers and their parents. Most experts agree that in order for your child to have a successful kindergarten year they need to be prepared! Beginning this process early can make the transition easier. Many of you may have preschoolers who will be moving up into kindergarten this year and who will need to be prepared for this next step in their lives. Beginning the preparation for this important milestone early on will make the transition more manageable. 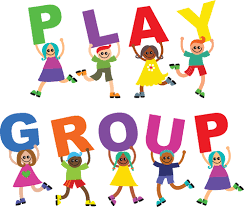 SELF HELP INC. CFCE-KINDERGARTEN READINESS PLAYGROUPS: These groups are held in the local communities at familiar sites for families (public libraries, schools, childcare programs etc.) We believe that beginning the preparation for this important milestone early on will make the transition more manageable, and we hope to help you along the way! 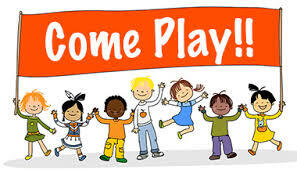 KINDERGARTEN HERE WE COME-CALENDAR: includes information on Phonemic Awareness, Math Concepts, Checklists, Helpful Tips, Book List, and many activities that will support you and your child’s transition into kindergarten.